Home / 2014 / anniversary / doughnut / krispy kreme / malaysia / offer / promotion / Get a dozen Krispy Kreme doughnuts for 77 sen today! 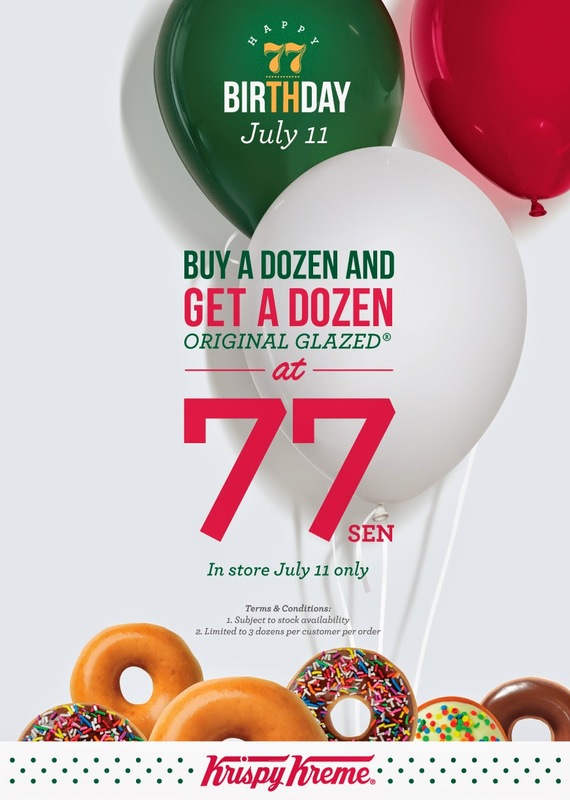 Get a dozen Krispy Kreme doughnuts for 77 sen today! Be happy fellow doughnut lovers because today doughnut company Krispy Kreme is celebrating its 77th birthday with a very special promo. Yay! So what’s in it for us? To commemorate the anniversary, Krispy Kreme is having once-in-a lifetime promotion where buyers can buy any dozen Krispy Kreme doughnuts (at full price) and get a dozen of Original Glazed doughnuts at only 77 sen (the whole box) and the offer is available nationwide, including Malaysia! 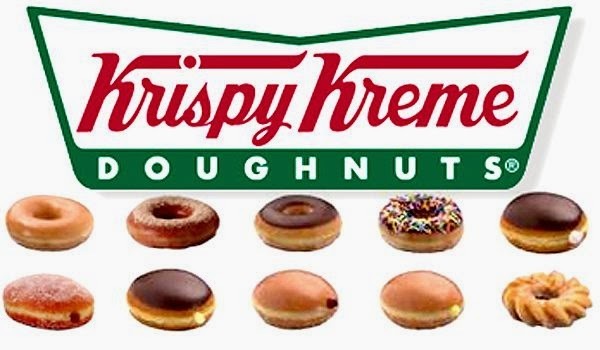 And that is not all, Krispy Kreme Malaysia will also reward those who participate in this 77th anniversary offer with a voucher which allows fellow doughnut lovers to purchase a dozen of Original Glazed doughnuts for RM7.70 with their next dozen purchase between 12 July to 31 July 2014. So, wait no more Malaysian Krispy Kreme-rs, enjoy this offer while it last. For more information, visits www.krispykreme.com.my.